Have just written a blog post on my blog in response to this. I agree his political impact has been neglected - but i think that's the case for a lot of prominent historical figures from small, non-english-speakign countries. As the Netherlands moved towards universal suffrage, a mass Protestant conservative party was going to emerge - to challenge the Liberals, Social-Democrats and Catholics' party. 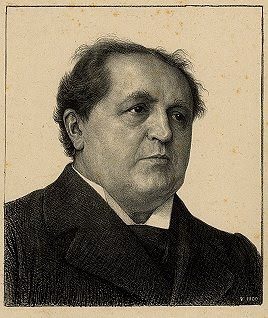 If Kuyper had not been around, do you think such a party would have been weaker? I think it might have been less well-placed to make electoral pacts in the pre-PR era, but I still think it would have done well. After all, about 70% of Dutch voters were Protestant at this time (c.19th) and, if half of them were right-wing, that gives such a bloc about 35% of the vote. OK, thanks, sulla. I myself will write an article shortly on the Netherlands and Belgium since it has always puzzled me about the fact that Catholic Dutch-speaking areas ended up on both sides of the border after the Belgian independence in 1830.
it has always puzzled me about the fact that Catholic Dutch-speaking areas ended up on both sides of the border after the Belgian independence in 1830. I'm sorry James-don't quite get your meaning?